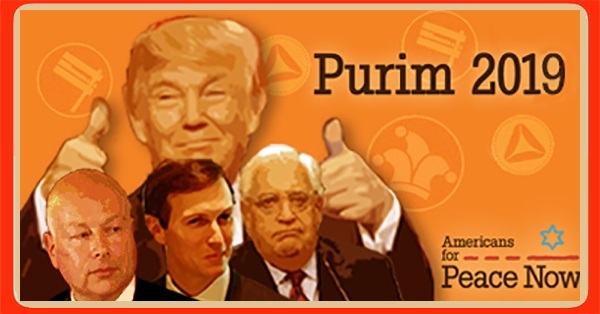 Purim 2019 and Trump's "Team of Jesters"
This year’s Purim Shpiel award for laughable, destructive diplomacy goes to Donald Trump and his trio of Middle East “peace” envoys. When he entered the Oval Office and promised an “Ultimate Deal” to settle the Israeli-Palestinian conflict, many took Trump seriously. Even Palestinian President Mahmoud Abbas, on a getting-to-know-you visit to Washington two years ago, expressed optimism and vowed to cooperate with the new president’s initiative. 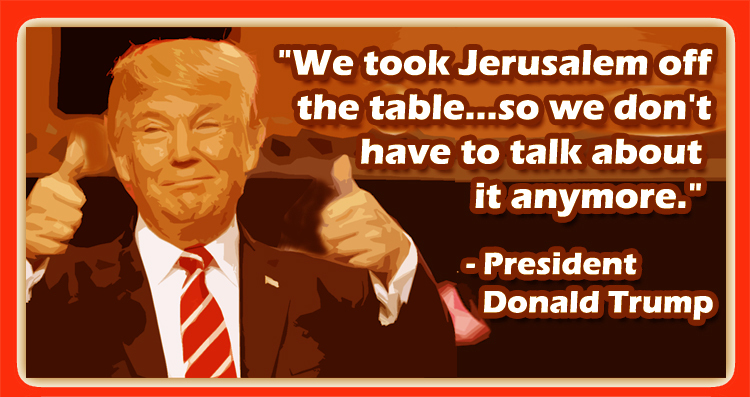 Trump, in a characteristic combination of ignorance and hubris, opined at the time that achieving Israeli-Palestinian peace "is something that I think is, frankly, maybe, not as difficult as people have thought over the years." Things are simple when you only know how to use only one tool: a wrecking ball. And boy, have Trump and his “ultimate peace” team - comprised of his former bankruptcy lawyer, his former real-estate lawyer, and his son-in-law - swung their wrecking ball at the world’s most sensitive, complex, delicate conflict. None of the three had any experience in diplomacy. They did, however, share a track record of supporting Israeli West Bank settlements. 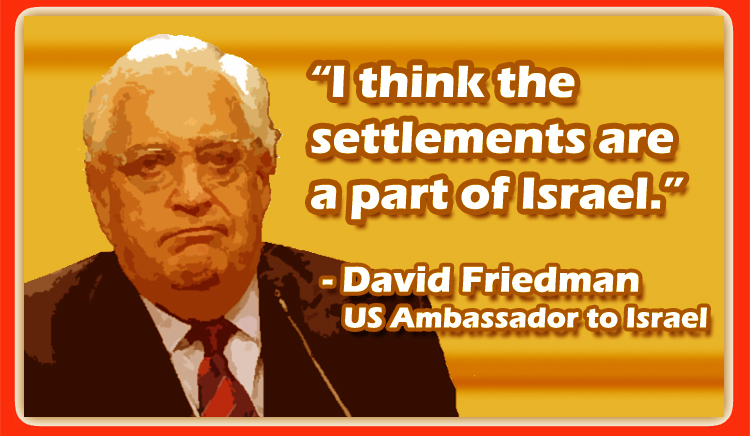 The most dominant of the three, Ambassador to Israel David Friedman, has a long, public track record of opposing a two-state solution, slandering peace activists as “worse than kapos,” and calling President Obama an anti-Semite. The views Friedman voiced were so extreme he nearly lost his bid for confirmation as America’s ambassador to Israel. Tragically, he prevailed. Right from day one at the embassy, Friedman engaged in inflammatory behavior and made indefensible statements. He said that Israel occupies only 2 percent of the West Bank. Appearing before AIPAC’s annual conference, he said that being “pro-Israel and pro-peace” is not a “reasonable position” since it is “blasphemous to suggest that any Jew or any Christian is against peace.” He was photographed holding a large poster that photoshopped the Jewish Temple where Jerusalem’s al-Aqsa Mosque stands. The list goes on. 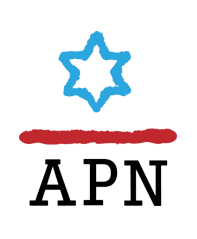 It’s carefully documented on APN’s web site. 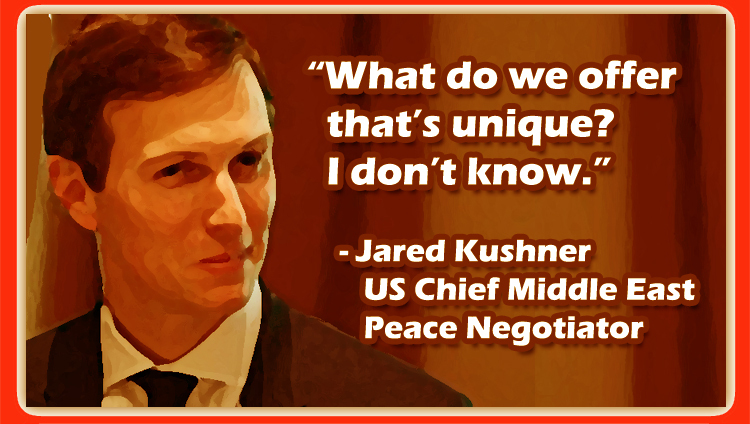 Trump hailed his son-in-law Jared Kushner as perfectly qualified to broker a peace deal. “Well, I think he’d be very good at it,” Trump said, “I mean he knows it so well. He knows the region, knows the people, knows the players.” But Kushner, ignorant and arrogant just like his father-in-law, told congressional interns: “We’ve all read books. We don’t need history lessons” about the conflict. In televised interviews about his plan, Kushner sounded utterly clueless. In a February interview with Sky News Arabia, he said: “The goal of resolving these borders is really to eliminate these borders, and so if you can eliminate borders and have peace, less fear of terror, you can have freer flow of goods, freer flow of people, and that would create a lot more opportunities.” Huh? What is he talking about? And then there is Jason Greenblatt, the third member of this team of jesters.Greenblatt’s favorite pastime is preaching to Palestinian leaders. Why preach? Because Palestinians refuse to cooperate with Trump’s peace trio. And why do they refuse? Because Team Trump has made every effort to humiliate Palestinians and their leadership, to deny them the few cards they have in negotiations with Israel, to revoke aid to inflict pain as a means of maximizing leverage, to “take Jerusalem off the table,” in Trump’s words, and to do the same to the sensitive question of Palestinian refugees. Unsurprisingly, the Palestinians concluded that they can’t trust the Trump administration to be an honest broker and stopped engaging with it. Trump’s trio is livid at the Palestinians. But instead of trying to mend fences, it has been publicly attacking Palestinian leaders, accusing them of disserving their constituents, missing opportunities, and misreading the course of history. Greenblatt has worked this pathetic preaching into an obsession. On an almost daily basis, he turns to Twitter to lob insults and accusations at Palestinian leaders. Never has any administration been so inept, so clumsy and incompetent in addressing the Israeli Palestinian conflict. 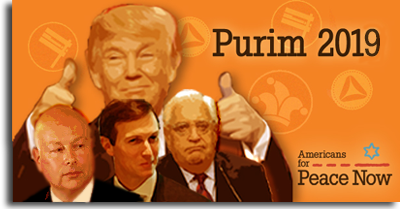 The performance of Trump’s trio qualifies as a Purim Shpiel. Tragically, the joke is on Israelis and Palestinians who want and deserve to resolve their bloody conflict, and on people like you who support Israeli-Palestinian peace. Jewish communities worldwide will soon be celebrating and enjoying the revelry of Purim. We wish all who celebrate a Chag Sameach, a joyous holiday. And we ask for your support. We’ll need it.